Some say that there is nothing new under the sun. Sometimes that’s not such a bad thing. As we have discussed in the past, video games are a very young art form. But in just over thirty-five years, the medium has established its own pillars of design and gameplay, held up as examples worthy of tribute. While it is always exciting to see new ideas being developed by the creative minds in the industry, it is sometimes just as rewarding to see great games that are clearly mindful of their sources of inspiration. 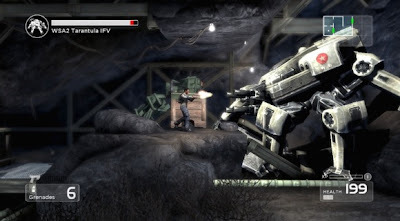 This week saw the release of Shadow Complex on Xbox Live Arcade, a side-scrolling action/platforming game firmly in the style of titles like Super Metroid and Castlevania: Symphony of the Night. Unlike developers that attempt to pass off their derivative work as something new and innovative, Chair Entertainment have used terms like “metroidvania” to describe their game since it was announced. This is a refreshing bit of honesty from the publisher, since the game is clearly a tribute: the large two-dimensional map is almost identical in style, the gameplay elements of exploration and advancement are clear derivations, and the game provides the same sense of satisfaction when a previously impassable barrier is overcome by newly acquired weapons and powers. The game is a love letter to the classics which inspired it. Most works of art are influenced by or pay homage to the artists and works that came before. The Sopranos overflowed with references to The Godfather. Salvador Dali was influenced by Picasso, Cubism, and Dada. Bob Dylan’s biggest early influence was Woody Guthrie. Video games don’t have the storied history of music, painting, or film, but there are already revered classics typed into the lexicon of video game lore. It seems that developers often don’t want to acknowledge just how derivative their games can be. Dante’s Inferno, for example, is clearly another God of War clone, this time with a very loose basis on the epic poem of the same name. The developers try to explain how their game relates to the poem, what it will bring to the action genre and so forth, but there is always the lurking specter of God of War over their heads. How much more honest did the staff at Visceral Games sound when they discussed Dead Space's clear influences, like Resident Evil and the Alien movies? As honest as apple pie. I salute developers who don’t shy away from telling us what games inspire their craft. I look forward to games with new and exciting ideas, but sometimes a game with a well-known concept in a new skin is just as exciting. Look at Borderlands: a Diablo-style leveling and loot system, in a world reminiscent of Mad Max and Firefly? Sign me up. I appreciate when a developer is up-front about creative influences, but I don't appreciate blatant aped game design with only iterative technical improvement. The real challenge is to take the time-tested parameters of game design and apply them in a meaningful way. Not to say any game you mentioned here doesn't do that - I really have no idea. I haven't played any game you mentioned save Metroid. Honesty: sounds better than proclaiming your game to "change the landscape of entertainment and art forevar! !1"